Our Beer Cafe is now open! We make beer with 100 percent local ingredients, and we malt all of our own grains. Yes, we’re insane. But we’ll never stray from our commitment to make better beer while simultaneously supporting a viable future for New York farmers. It’s who we are and it’s what we believe in. Company founders Zane and Max (pictured left) were both raised in the Upper Hudson Valley, and immediately envisioned it as the home for Subversive when the initial business concept was formed. 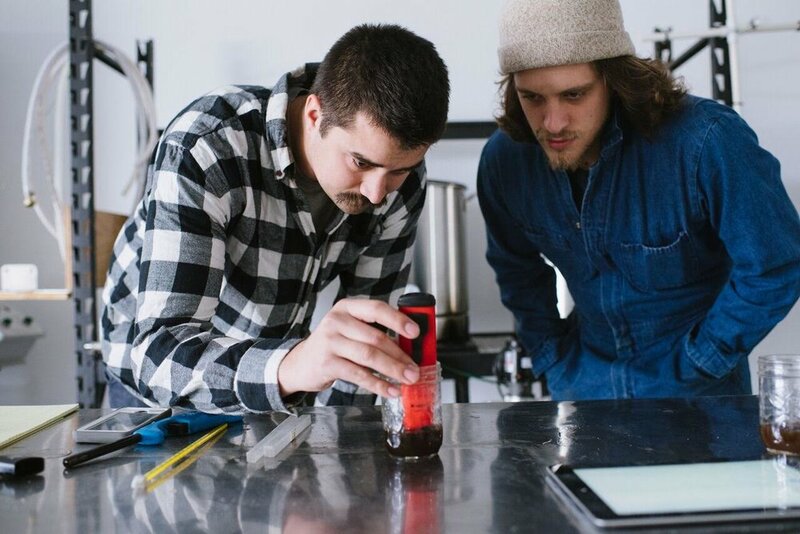 Zane had found a passion for home brewing while living in the Pacific Northwest, and brought that passion and some rudimentary equipment back East in the Fall of 2013. A hobby quickly turned into an obsession, and the Subversive boys entered the Ithaca College Business Plan Competition in April 2015. While they took the win (And $25,000 in prize money! ), it took another 4 years of gaining industry experience, buying and building equipment, and scrimping and saving to open the doors!